Last year, after having suffered for many years with digestive issues, I finally decided to give up gluten and all of the tasty foods that come with it! This was a major life decision for me and one which I wasn’t really sure I could handle. I’m a French Canadian girl and I LOVE my bread! I used to buy a baguette and a stick of butter and just eat that for lunch.. well, those days are over. I’ve been happily gluten-free for almost a year now. It is something that has just become a part of my everyday life. I don’t miss eating gluten based foods, I don’t crave them and I definitely do not miss the painful side effects or the extra 10lbs I would carry around because of them. Going gluten-free is by far, one of the biggest changes you can make to your diet. It really does remove so many foods that you so easily grab for and never think about - bread, cereal, pasta, muffins, cookies, chips, crackers… oh the list goes on! If you’re thinking about going gluten-free, don’t let this list scare you. I still eat bread, cereal, pasta, muffins, cookies, chips and crackers… they are just gluten-free! Here are some of my ‘can’t live without’ gluten-free options. 1. Van’s Gluten-Free Waffles: On a Saturday morning, who doesn’t love waking up late and having some waffles with fresh fruit and syrup! I absolutely love these waffles – my favorite is blueberry but my boyfriend prefers their cinnamon flavour. You can’t go wrong with these and I promise that you’ll never know that they are gluten-free! 2. Rudi’s Gluten-Free Bread: I have to admit that it has been hard to find a gluten-free bread that tasted good. Well look no further! Rudi’s bread is so yummy – I especially love their multi-grain and cinnamon raisin loaves. You can find them in the freezer aisle! 3. Udi’s Gluten-Free Pizza Crust: One thing that most of us can’t live without is pizza! Each package of yummy Udi’s gluten-free pizza come with 2 personal sized pizza crusts. Just add whatever toppings you want, pop it in the oven and enjoy! 5. Wheat Free Only Oats: I love making homemade granola’s and cereals and I can’t do that without my wheat-free oats from Only Oats. I add them to my baking and even my smoothies. You can find them at bulk barn! 6. Nature’s Path Cereal: I am a cereal addict – I can’t start my morning without it and it is one of my favorite snacks. Nature’s Path makes delicious cereal’s in great flavours! 7. Crunchmaster’s Crackers: I am currently obsessed with these crackers! I love to eat their roasted garlic crackers with some salsa – so good! They would also be great with some cheese or in a soup. Every day, there are new and amazingly tasty gluten-free options coming out. I’m not saying that going gluten-free is easy, but at least you have a lot of good foods to choose from and there really isn’t a whole lot that you can’t eat – you just have to find the gluten-free option. 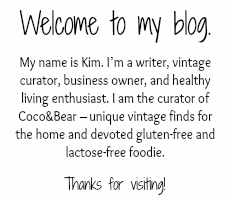 Thanks for sharing these Kim! I went dairy-free a few years ago, and though it was tricky at first, once I found some tasty substitutes, it became much easier. 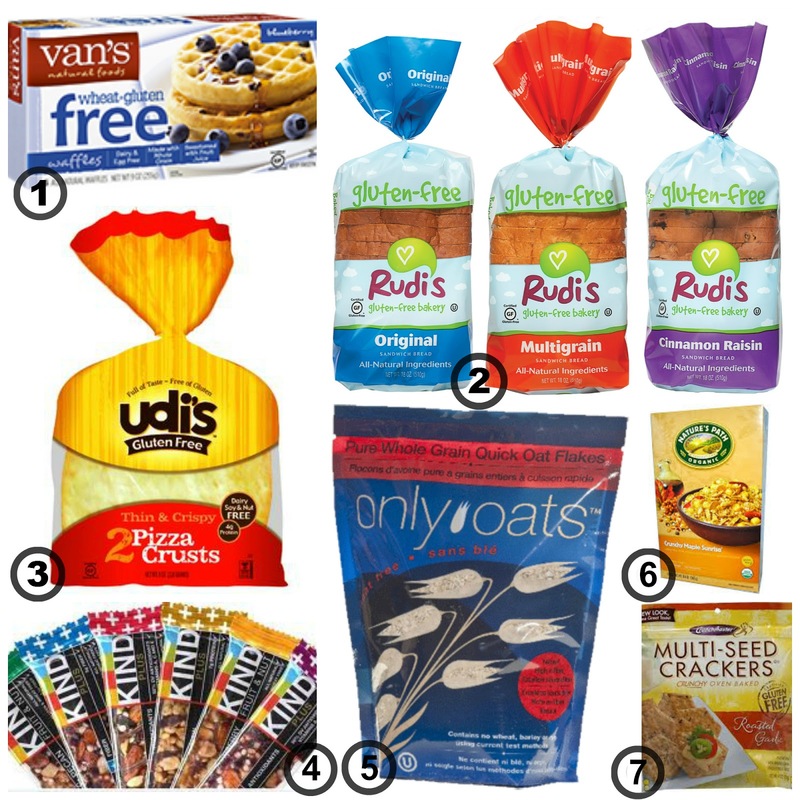 I dabble in gluten free also and love the Only Oats and Udi's pizza crusts! I'll have to try those yummy waffles! Thanks Julia! I'm also dairy-free and will definitely post up some of my favorite dairy-free choices soon! You must try the waffles - sooo good! My boyfriend eats them and he can't believe they are gluten-free. Not currently gluten free but these do look good! Thanks Jen! You don't have to be gluten-free to enjoy these amazing foods. Hope you'll try some :) Thanks for visiting! It is definitely a big decision to make! Baby steps are a great way of getting yourself there. I still have so many other products that I love that I think I'll need to do a part 2 for this one! thanks for visiting! I'm not gluten free but I do understand there are considerable health benefits. May be something to look into. Thanks for visiting Reana! Try one and I promise you'll get hooked!